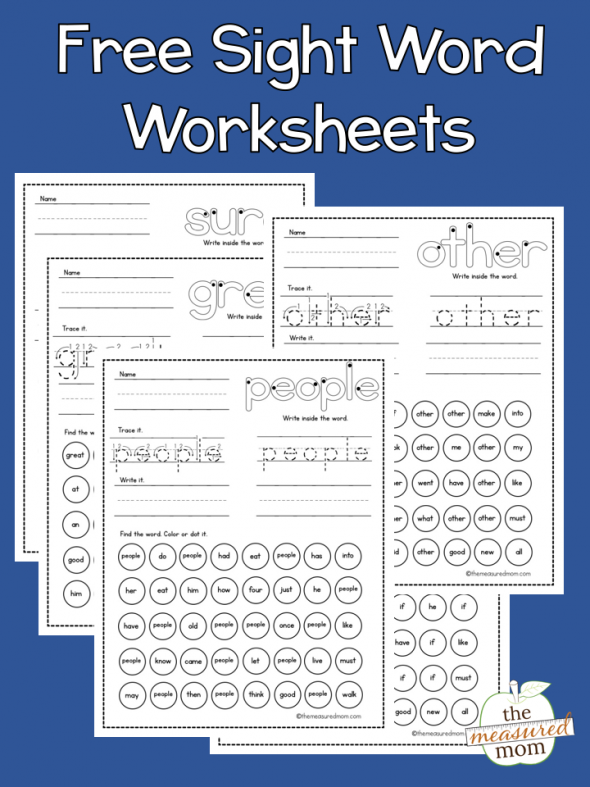 Looking for a bundle of sight word worksheets? Here you go! 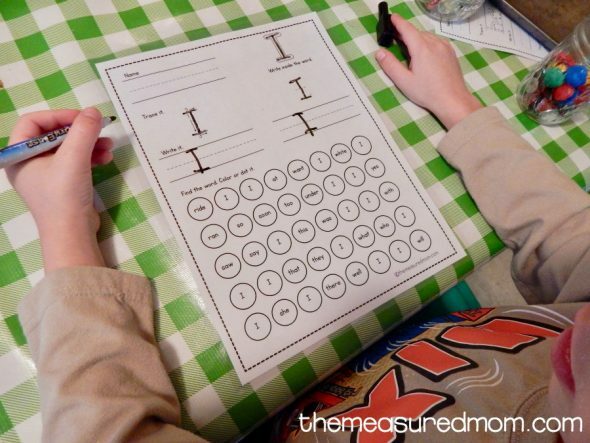 If you’re looking for some quick, no-prep ways to reinforce common sight words, you’ve come to the right place! As a general rule, worksheets aren’t my go-to. We like to learn sight words in active, hands-on ways. Then we use our sight word books for a fun way to read the words in context. 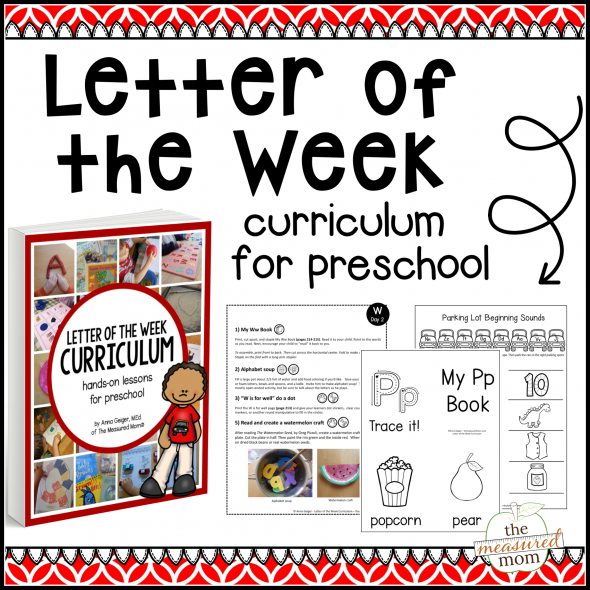 But these worksheets can be a great supplement to meaningful learning activities. As you can see, the page starts out very simply. Have your learners trace the word at the top right. Then trace the word two more times below it. If your learners are ready for it, have them write the word on the next two lines. 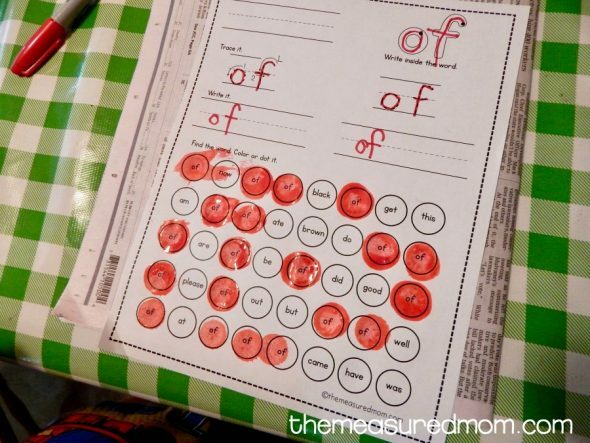 Finally, grab a Do-a-Dot marker so your students can dot the featured sight word. Here’s a tip: Make the pages reusable by laminating them and providing a dry erase marker. That makes these pages great for center work. 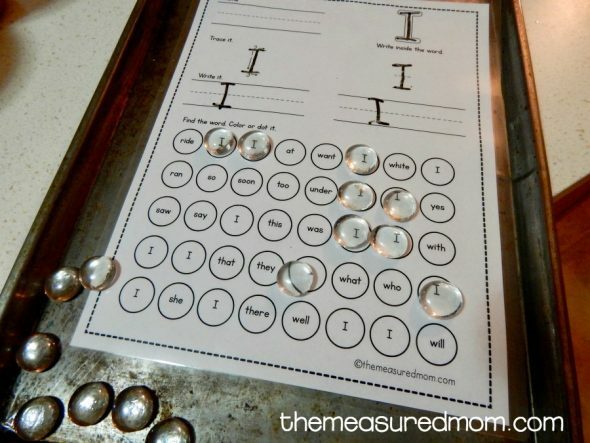 Then put the laminated page on a magnetic baking sheet, and provide small magnets to cover the words. Another idea is to use clear glass gems. Most of my sight word worksheets are available for free in the subscriber library. As a subscriber to my newsletter, you’ll get access to the preprimer, primer, and first grade lists (with more to come!). But I’ve had a request for a few words that aren’t included in the Dolch lists. So I created this bundle with the bonus words. You are welcome to give more requests, but I can’t include words longer than 6-7 letters because they don’t fit. Variety is key! 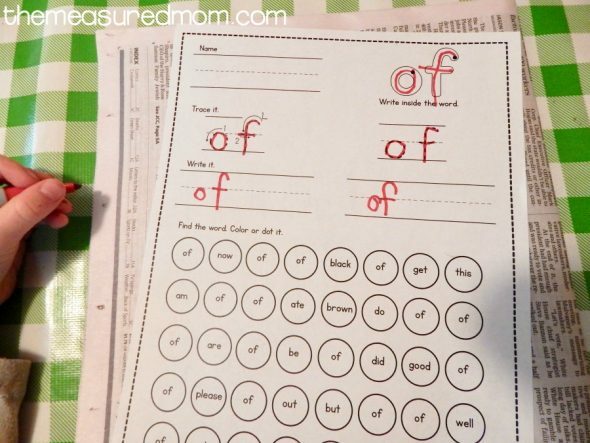 Use the worksheets alongside other low-prep sight word activities. Be flexible. If you’re working with very young learners, they may be ready for the word find section at the bottom of the worksheet – but not the handwriting section. 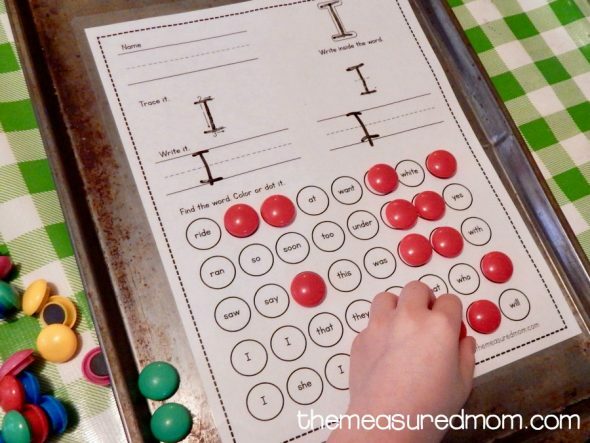 It’s okay for a child to do just part of the worksheet. Differentiate. By this I mean choose different activities for different learners. It’s not always a good idea to make 20 copies of a single page for your entire class. Just give this activity to the students that are ready for it. 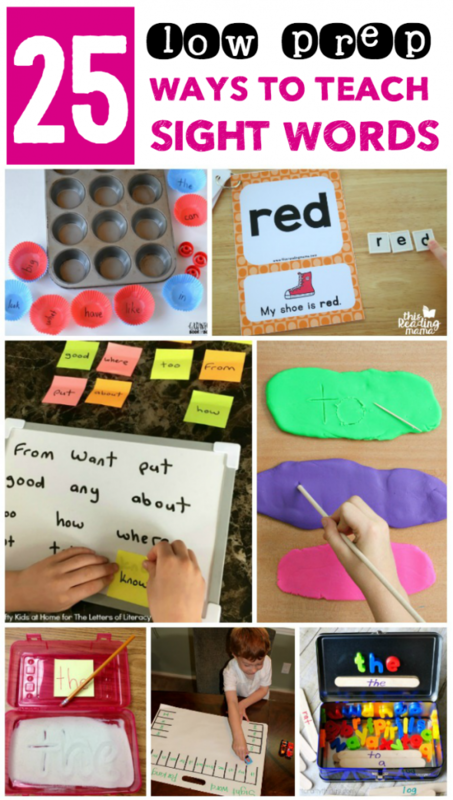 Have you seen our other ideas for teaching sight words? © 2017 – 2018, Anna G. All rights reserved. Have you downloaded that recently? I think I fixed that mistake a while ago. the mistake is still there….at least in the pack what I downloaded today…..but I just realised that I already have the same bonus pack on my computer from the 8th of March and there is no mistake in that pack…..
Hi! I love these so much! Question, on the pictures above of the worksheets, the words “Of” & “I” are on a page, but they’re not on the download. Is there another place I can find these?? Also, Are you going to do any more of these? like more advanced sight words?? Hi Karen – I’m not sure where you’re looking, but those words are in the download. I have more sets on my free printables page…. probably more sets in the future, but not for a few more months. The green button will give you the worksheets that you see in the main image. Thank you so much for offering these resources for free. I wanted something for my kindergarten, and these are GREAT! Again thank you! You’re very welcome, Eileen! Thank you so much for the kind words! It looks like you’ve been sent about 6 newsletters, but you haven’t opened any of them. Check your spam folder, and let me know! The most recent newsletter has a link to the subscriber library at the bottom, with the password. You can reach me at anna(at)themeasuredmom(dot)com. I’m not seeing “I” either. I’ve scrolled through them all as well! Not complaining! Just love the worksheets!!! Thanks again!! It’s on page 16 of the “preprimer sight words” in the subscriber library. I would like to take the time to thank you for your generosity in sharing so many wonderful freebies. The resources you provide that I have used so far really help my students and they enjoy the games. Thank you so much. You’re very welcome, Lavern! I’m so glad you like them! Love these!!! I am having a hard time finding the sight word “I” in all of the links. Which one has I? Hi Sam! Do you see the preprimer sight word worksheets in the subscriber library? I’m pretty sure it’s in that file. I was wondering if there was the word “as” in either set of work sheets. I love these. I have my son do these along with his usual homework and it helps so much. This weeks words are “at” and “as”. I found “at” but no “as”. Please help. It should be in the first grade sight word worksheets in the subscriber library. I signed up for the newsletter, and I love the memory word printables. I was looking to download the one for the memory word “I” but I cant find it. Is there a printable for that? Hello! It should be in the preprimer sight word set in the subscriber library. I love these sight word worksheets and those are the only 2 words that are on our list that I couldn’t find in your other materials. Thanks so much! 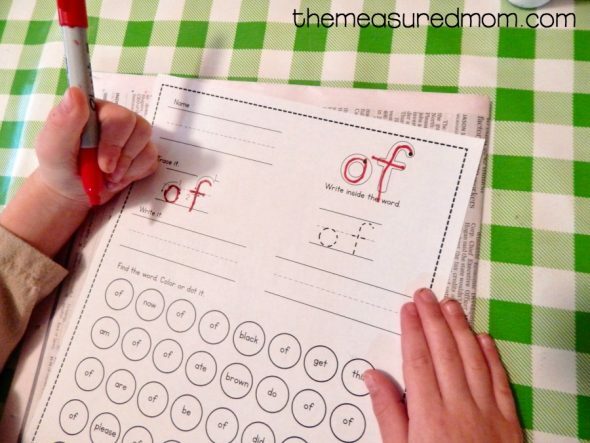 So precious sight word worksheets. Like all your resources.